ChildChild age 3-12 years old. Under 3 are free. 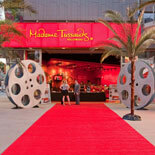 Madame Tussauds Hollywood redefines celebrity encounters and is the biggest, newest attraction in LA! You can interact with your favorite celebrities, without velvet ropes or barriers between you. Step into elaborate interactive sets. Madame Tussauds Hollywood: who do you want to meet? Today's visitors are sent on a unique, emotionally-charged journey through the realms of the powerful and famous. The museum-style ropes and poles have gone so guests can truly get up, close and personal with A-list celebrities, sporting legends, political heavyweights and historical icons, reliving the times, events and moments that made the world talk about them. Making wax figures is a labor of love. Over 800 hours of painstaking moulding, measuring, painting and sculpting goes into making each figure. They have a small army of highly trained wax sculptors who can replicate a Hollywood A Lister or world leader so exactly that you'll believe that you are face to face with a real person. You'll find yourself saying sorry to someone for nearly bumping into them, before realizing it's a wax figure of Penelope Cruz or Johnny Depp. That's the skill of their sculptors. The big question though, is how do they do it? 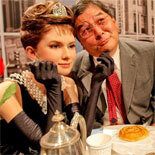 Find out when you visit Madame Tussauds Hollywood! Now Open! This is the first Madame Tussauds, in the company's 200-year history, built from the ground up. It is housed in a 40,000 square foot, three story contemporary building, next to the world famous Grauman's Chinese Theatre. Get your eTicket today for this great attraction! A visit to Madame Tussauds is essential; where else can you savour two centuries of fame and notoriety, and tell the great and good exactly what you think of them? It'll be your most famous day out ever! 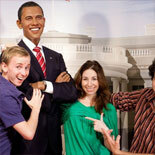 Madame Tussauds Hollywood - Who Do You Want To Meet? Open 364 days of the year; Mon thru Thurs from 10:00 am to 7:00 pm. Fri thru Sun from 10:00 am to 8:00 pm. Closed on Oscar Day. Hours of operation subject to change as event restrictions may apply. Orange Dr. and Hollywood Blvd. Recommended Parking: Madame Tussauds garage - easy access off Orange Drive with full service valet parking for all customers. 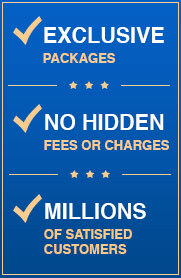 Rates are $2.50 every 15 minutes, $15.00 maximum. Additional parking is available at Hollywood and Highland Center. Rates are $1.00 every 20 minutes; $10.00 self park maximum, $15.00 valet maximum*. 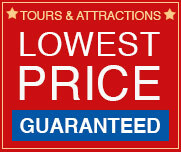 *$2.00 for first four hours - validation required from a business inside the Hollywood and Highland Center. Please note that parking structures are not owned and operated by Madame Tussauds. We do NOT validate parking. Child Ticket: 3-12 years old. Children under 3 are free.